“IL Volo” – Three Great Kids from Italy | Marbella Marbella – Adelante! Gianluca Ginoble was born on February 11, 1995 in Roseto degli Abruzzi (province of Teramo), in the Abruzzo region of central Italy; Piero Barone was born on June 24, 1993, in Agrigento (Sicily), while Ignazio Boschetto was born in Sicily on October 4, 1994, but grew up in Bologna (northern Italy). The three pop-opera singers started their career in 2009, when they met on the second edition of the Italian RAI TV music competition show Ti lascio una canzone, held in Sanremo. On May 2, 2009, Gianluca Ginoble won the competition, singing Andrea Bocelli’s “Il mare calmo della sera. During the competition, the 3 singers were chosen to perform as a trio the Neapolitan evergreen “‘O Sole Mio. After the competition, they continued to perform together under the names The Tryo, Il Trio, and finally Il Volo. In 2010 the trio participated in the charity single “We Are the World 25 for Haiti”, remake of the 1985 hit song “We Are the World”. 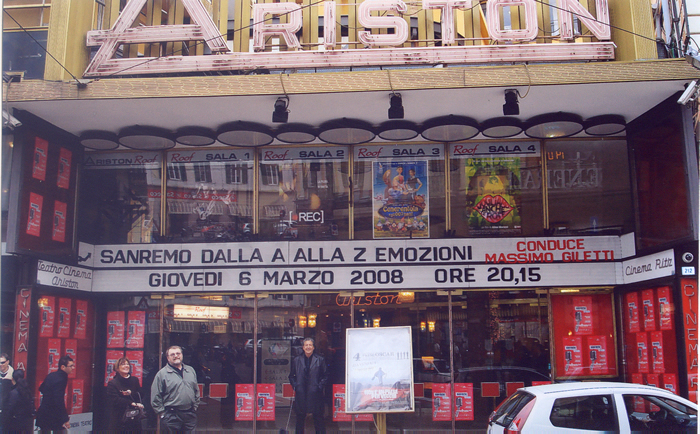 In February 2010 they performed the songs “Granda” and “Un amore così grande” during the 60th Sanremo Festival. On 31 July 2011 the trio performed “‘O Sole Mio” and “This Time” for the President’s Star Charity show in Singapore to help raise funds for the handicapped. Debut album (2011-present)Their first self-titled album was recorded in 2010 in the Abbey Road Studios in London and produced by Tony Renis and Humberto Gatica. It was released in Italy on November 30, 2010 and peaked at number 6 on the Italian Albums Chart, receiving the Gold certification by the Federation of the Italian Music Industry.The international edition of the album was released on April 12, 2011 and was promoted in the United States with a performance during the final 3 results show of the American Idol’s tenth season. The group sang “‘O Sole Mio”, which was released as a single in the United States in early 2011. The album debuted at number 10 on the Billboard 200 and at number 1 on the Classical Albums, selling 23,000 copies in its first week. The album is also entered at the Top 10 in other countries, such as Belgium, France and the Netherlands and topped in Austria.